It’s your special day. It’s the day you’ve waited for, for a really long time. You want to make it an event to remember, not just for your friends but for everyone involved. How do you begin? 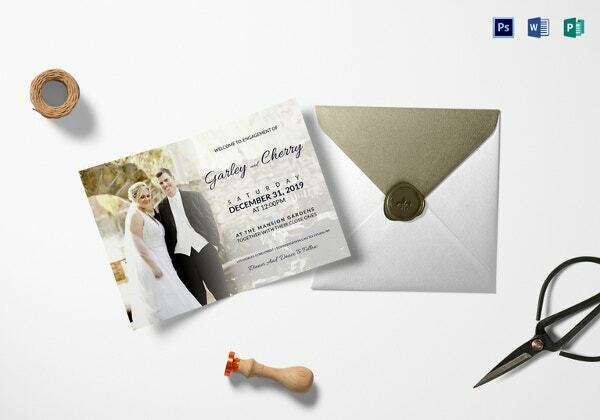 By making the invite as warm and heartfelt as you can. The simple reason being, there’s much more variety online than there could ever be anywhere else. 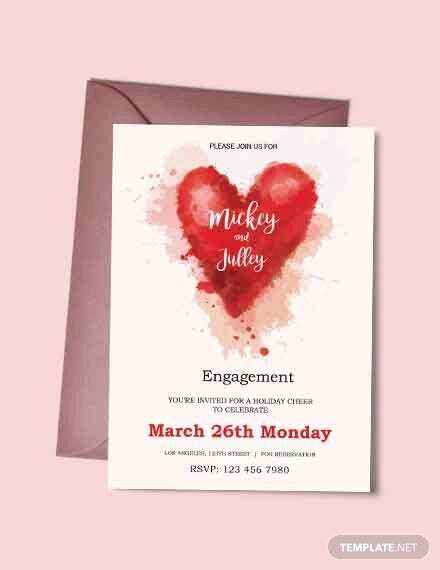 Online costs for engagement invitation templates are much less in comparison to what’s being offered on ground. 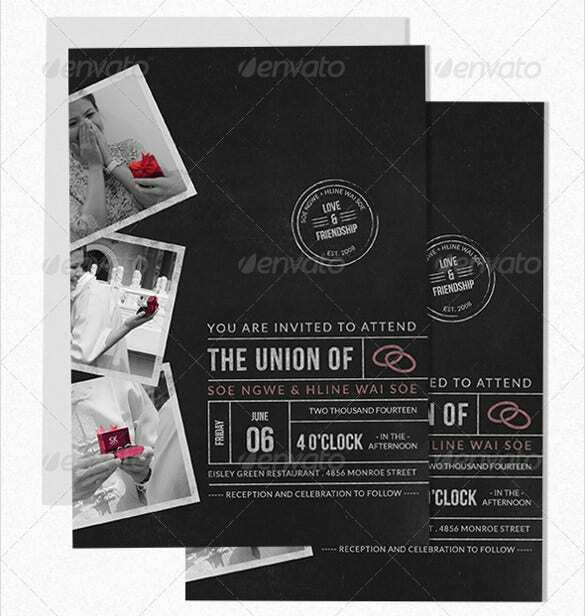 Here’s a classy engagement invite template which you can easily edit and customize by infusing your own wisdom and creativity. 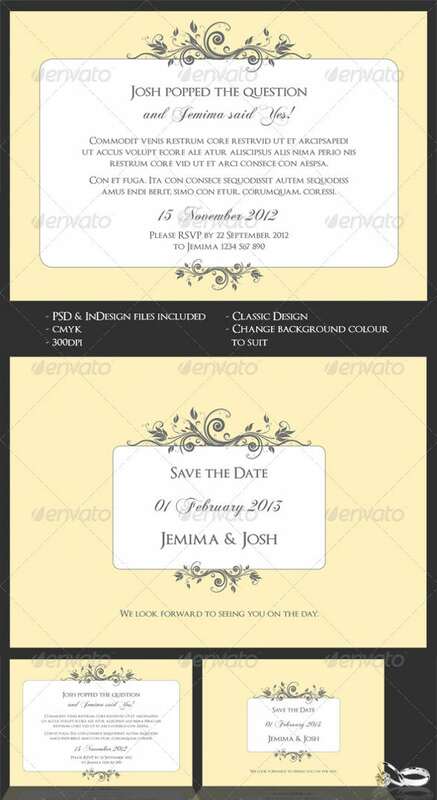 Interestingly, you can also insert the couple’s picture on the invite! 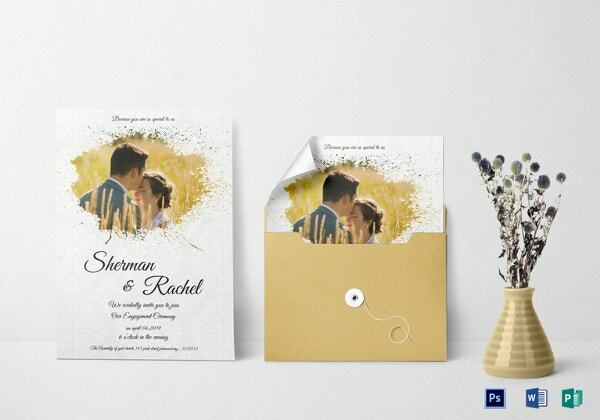 Engagement invitation templates are a must try before you decide on the final layout of invites. Thanks to the virtual world, now there’s one less thing to worry about! 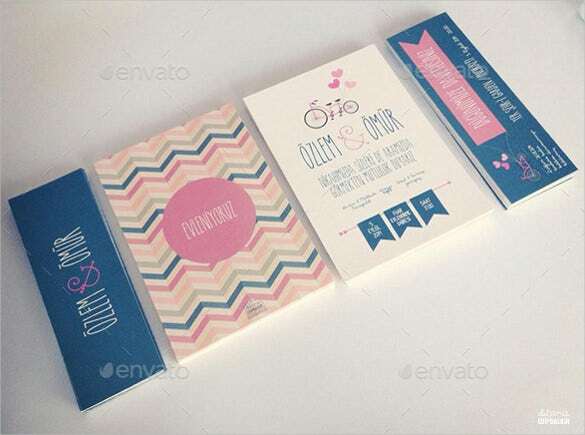 You can also see Bridal Shower Invitations Templates. 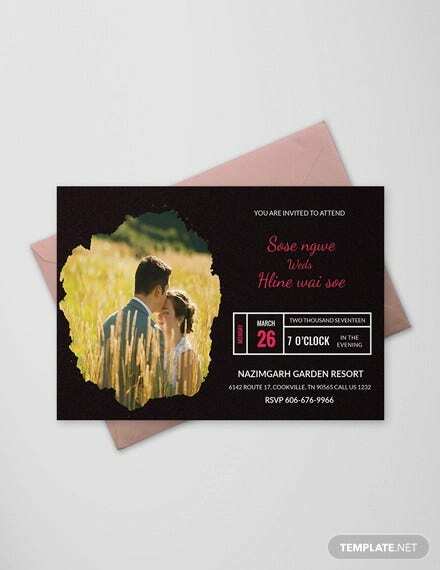 Arguably one of the prettiest engagement party invitation templates, this template is bliss for the eyes. Inspired by the watercolor designs with the light to dark hues, it exudes freshness and has an instant appeal. 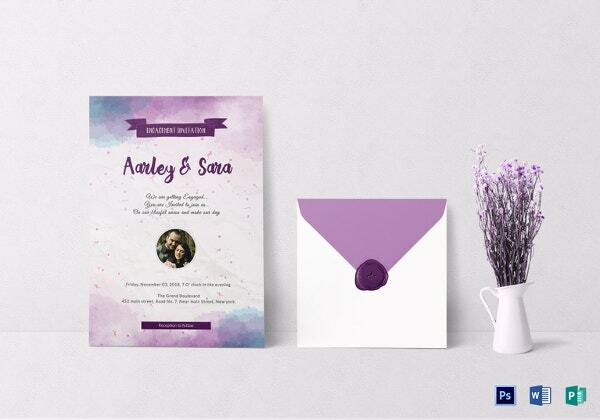 If you’re a couple who believes in sending out a fun engagement invite, then this particular fun-loving and vibrant template ticks all the boxes in the fun department. It’s a must have! 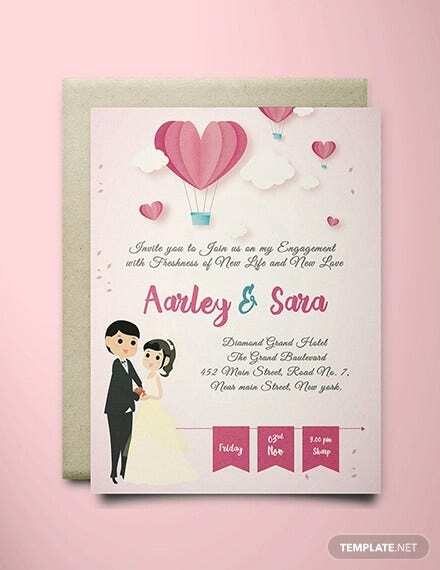 A sweet engagement party invitation- if that is what is in your mind, then this template has all the qualities to give you the design and sentiments. 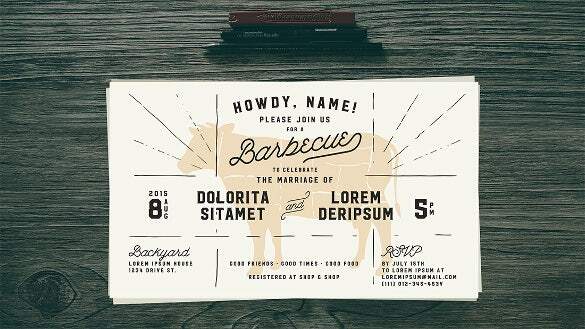 The overall design, including the commercial fonts, flow in a fun way! 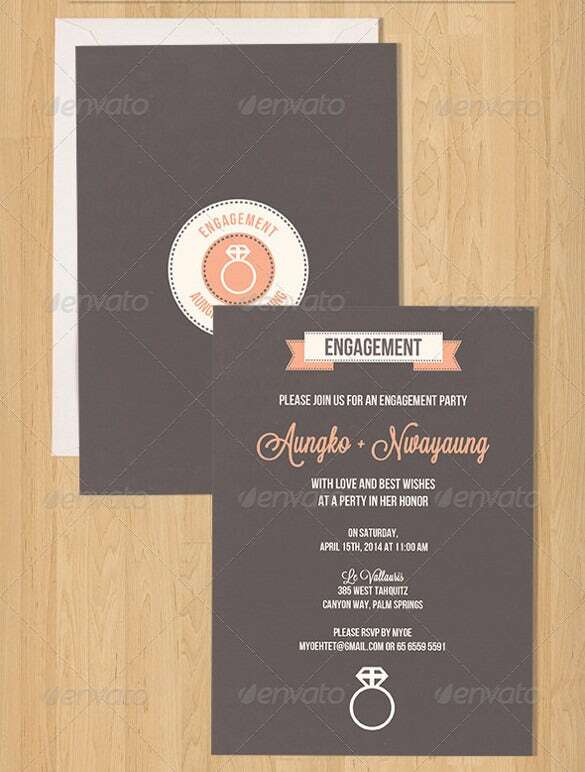 Keep things simple and stick to a solid color backdrop such as black to craft your engagement ceremony invitation. Sometimes a minimal design takes away most praise and commentary. This template proves so. 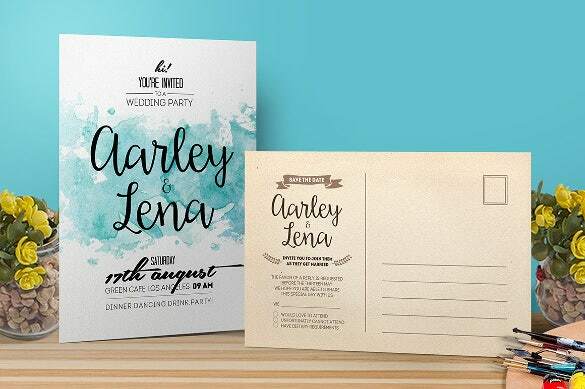 This is yet another variation of the watercolors-inspired design for engagement party invite. 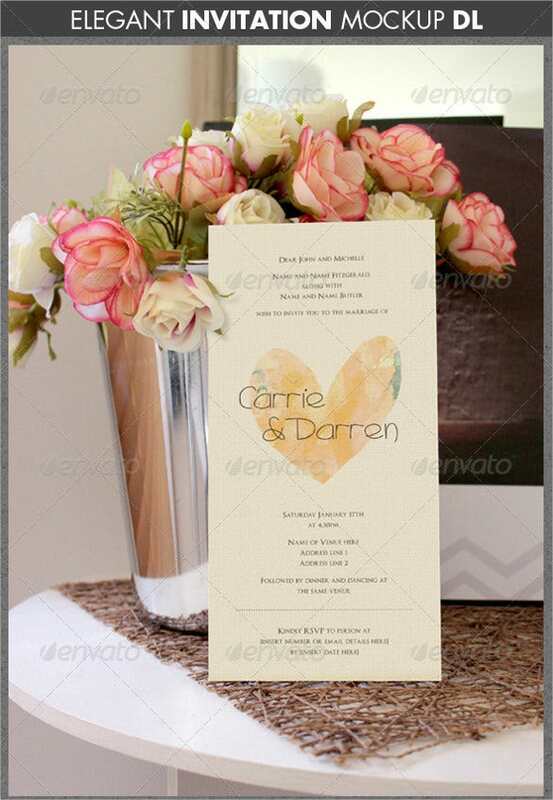 The names of the couple, written with a stylish font, are placed atop a smear of fresh light-colored watercolor. 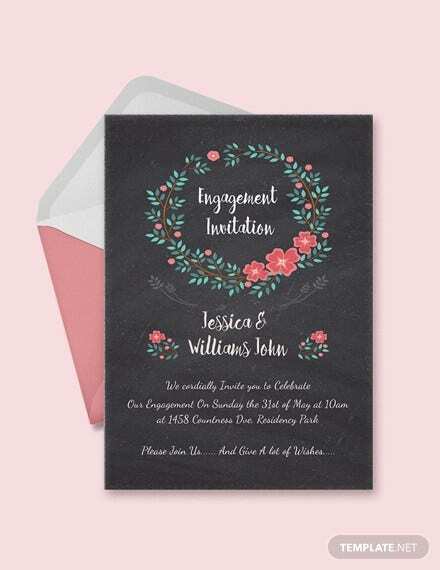 If you want to design an engagement inspired by the chalkboard, then this particular engagement party invitation template fits your needs to the T. What’s more, you can edit the text on the template using any of your favorite chalkboard fonts. 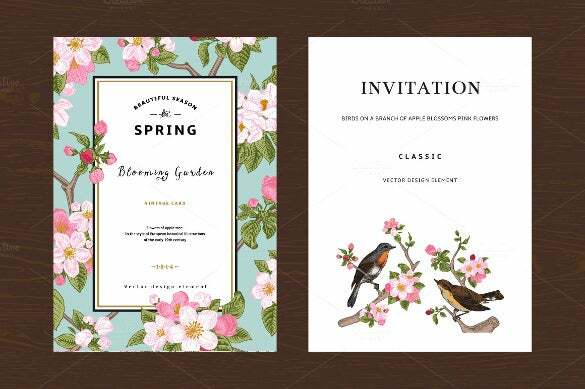 If you prefer an engagement invites template which has a bit more of beautification, then this template design, with artwork of cute little flowers and birds, makes for an exquisite choice as a engagement card invite. 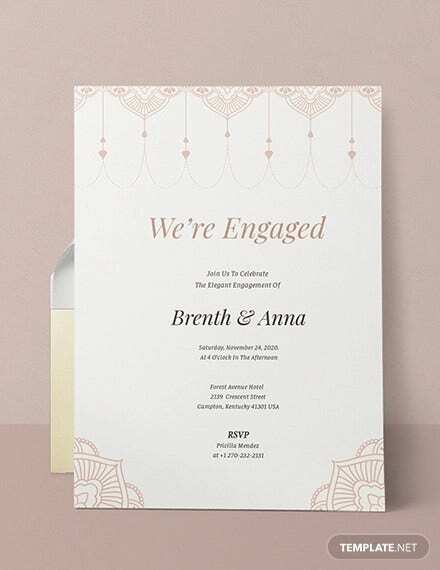 For couples who like their engagement invites to be glamorous, then this template, replete with stylish designs and cursive and calligraphic fonts has all the makings to make an impression on the guests! 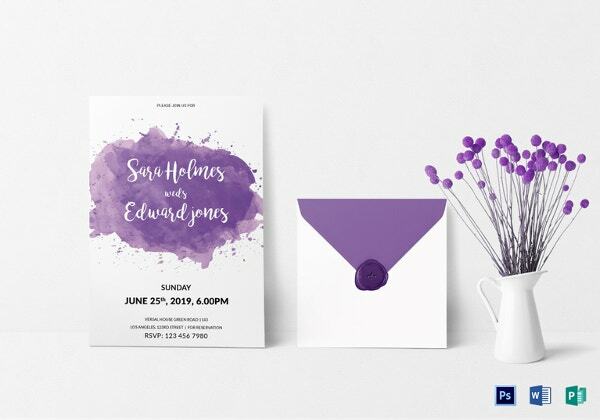 If you like surfaces-inspired invitations, then this is an ideal template to make all of your engagement invitation desires come true. The design is visually very engaging. Quite a stunner, this one is! 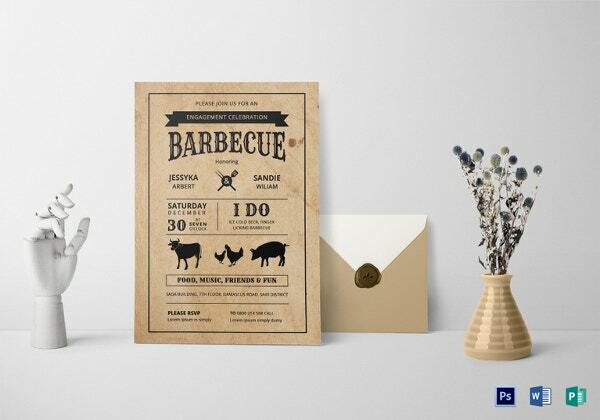 Classic and timeless designs for engagement invitations have been a favorite preference for the longest time. 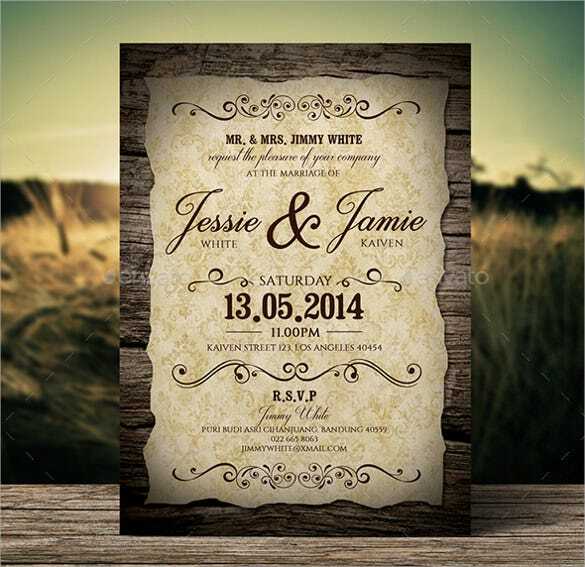 If you desire to imbue the same theme, then this template should impress you totally! 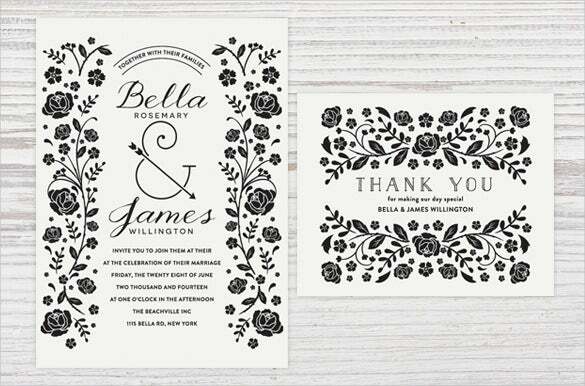 Would you love to have floral designs on the invite of your upcoming ring ceremony? 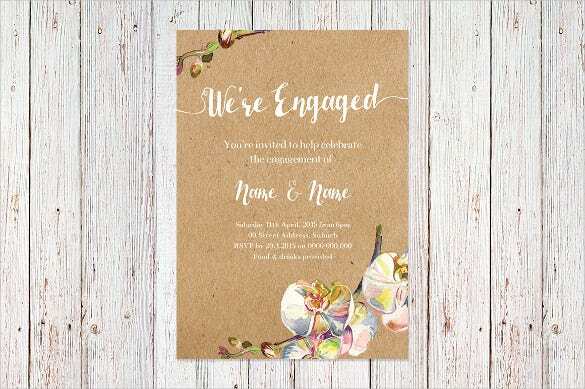 Well, this Floral Engagement Invitation Template has all the attributes already inbuilt. You just need to replace the existing text with your choice of words! 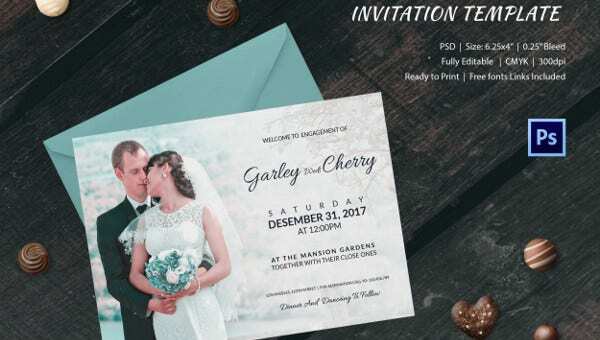 If you would like elegance and love as the themes of your engagement invitation, then this template is replete with all of that and much more. You can infuse more life into the template by doing some editing and customization of your own! You needn’t go out and get these done. 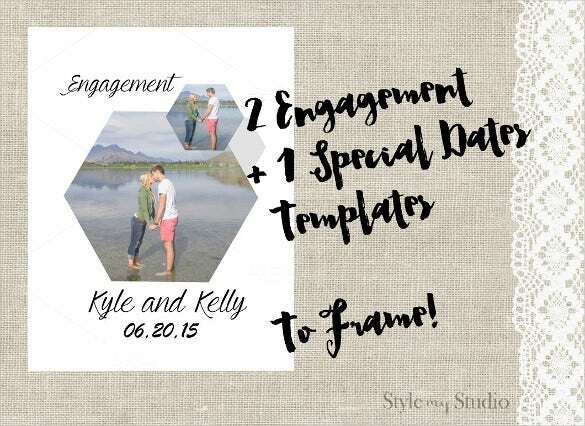 So if you are pressed for time, you are sorted with templates available online. 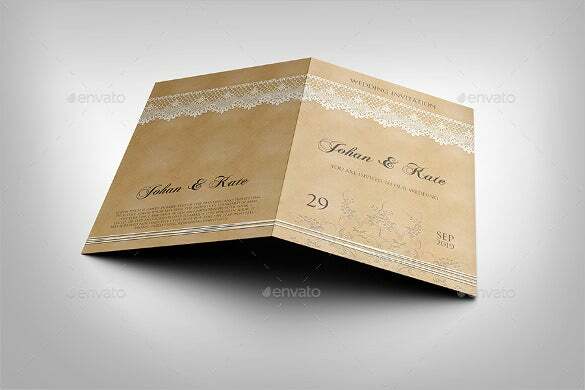 You can also see Wedding Party Invitation Templates. Go get yourself those customized options from the online world. 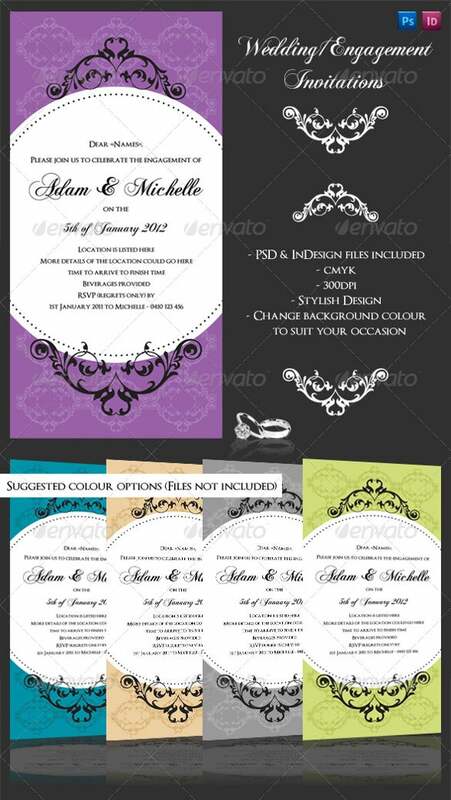 Also, many of these templates are a one-time investment, you can go on changing their color and type and use them for other events. When all these come at an attractive price in best designs, why not try them?